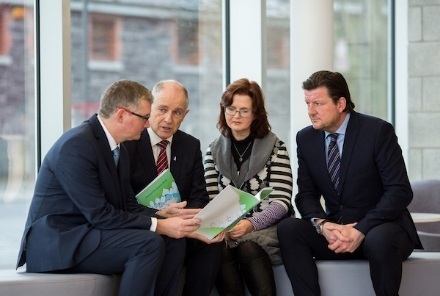 The Greentown National Prevalence Survey Report 2017 was launched by Minister Stanton on Tuesday the 12th of December. The study found evidence that the involvement of children in criminal networks can be found throughout Ireland. The study was undertaken by Dr Catherine Naughton and Dr Sean Redmond, from the School of Law at the University of Limerick. This follow-up study involving a national survey of Garda Juvenile Liaison Officers indicates evidence that the profile of children involved in serious crime (as identified in the original Greentown report) are present more widely throughout Ireland. Importantly, the youth crime problems identified in the Greentown report in 2015 are not only confined to large urban areas. Similar to the original Greentown study, the survey findings also suggest that some children are being groomed into crime by predatory adults. While relatively small in number, this pattern has emerged across the country.